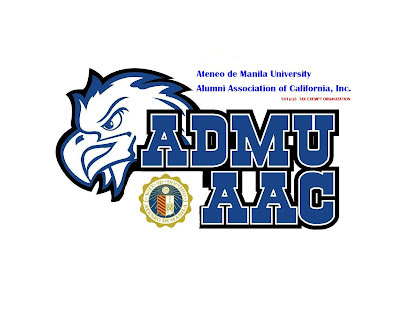 ADMUAAC is registered with and recognized by the Alumni Affairs Office of the Ateneo de Manila University in Loyola Heights, Quezon City, Philippines – the mother Ateneo de Manila University alumni association, and maintains communication with other organized Ateneo Alumni Associations in the USA, Canada and other parts of the world. 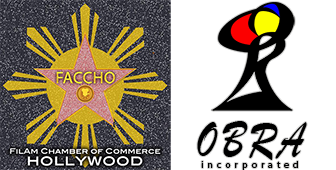 The Ateneo de Manila Alumni Association of California, Inc. (ADMUAAC) traces its beginnings to the 1980’s. It was then called the Ateneo Alumni Association of Southern California (AAASCA), primarily composed of alumni from the Ateneo de Manila University. Bob Cho was its Founding President. He was followed by the late Rod Carpina, Winnie Chuidian, the late Mike To-Ong, Joe Escobar, Robert Gamboa, Muni Zaño and Roy Gaane as Presidents. In its one-Ateneo integration efforts, AAASCA finally elected key officers coming from each regional Ateneo school, thus evolving into an umbrella-type alumni organization. From its inception in October 1980 until 1994, Ateneans from Ateneo de Cagayan/Xavier University, Ateneo de Davao University, Ateneo de Naga University and Ateneo de Zamboanga University were attending meetings and various social gatherings. Even a few from former Ateneo schools that were closed like Ateneo de San Pablo in Laguna and Ateneo de Tuguegarao in the Cagayan Valley Region were coming out to be counted. Under its watch, AAASCA prides itself in establishing the Tomas Blanco/AAASCA Scholarship Foundation and the Dr. Antonio Ferrer Scholarship Fund for Ateneo de Manila University. Through those early years, it also made monetary contributions to the Davao and Naga Ateneos. It initiated the annual LA-based NCAA alumni basketball tournaments for a couple of years with alumni teams from traditional hometown rivals back home such as La Salle, San Beda, San Sebastian and Jose Rizal College. The Ateneo-La Salle golf tournaments also took place. It revived the Ateneo Glee Club with a major Christmas Caroling Fundraiser at one time. Aside from well-attended meetings, there were dinner-dances, picnics, poker games, family camping trips and the hosting of the Ateneo de Manila University Glee Club in its Los Angeles performances for a number of years. To drum up more enthusiasm among the alumni, the first All Ateneo International Convention was conceived in 1994 under Roy Gaane’s leadership. The venue was Las Vegas. At this time, the other regional Ateneo schools were increasing in their own regional alumni memberships. Officially there was an Ateneo de Naga Alumni Association of Southern California, Los Angeles (ADNASCLA) headed by the late Jose (Peping) Factora, an Ateneo de Davao Alumni Association of Southern California (ADDAASCA) with Panny Gagajena. Even before these two groups, a very active and solid Ateneo de Cagayan/Xavier University Alumni and Friends already existed headed by Roy Gaane. An Ateneo de Zamboanga Alumni group was also in existence informally. They gathered only occasionally whenever their Ateneo School President would come for a visit. By now it was time for the Manila Ateneans to formally reorganize their very own group. At first they called themselves the Society of Blue Eagles with the late Nards Castelo as President. After a year, they changed the name to Ateneo de Manila University Alumni Association of California (ADMUAAC) with Rey de Leon as its first President. He was followed by Roly Ecarma, Pepe Gayatinea, and Bambi Vergel de Dios, Jogi Manalo and Jim Gadioma. In 2000, the Stipend Award for Ateneo de Manila Scholars was established. The Stipend Award program is a long-term financial commitment to assist needy scholars with supplemental funds for their basic daily needs for food, textbooks, transportation, housing, and other necessities in their campus life. In its first year, more than 14 scholars received the award. The perpetual year-round program has been met with great enthusiasm, and has been praised and commended by students and school administrators alike. In 2001 under the auspices of Pepe Gayatinea, the first Ateneo de Manila Los Angeles Reunion(LAR) was celebrated at Loyola Marymount University. The event was well attended by around 200 Ateneo de Manila alumni from all over the United States and the world. Jose Avelino took over the presidency in 2005. On June 10 of the same year, under the stewardship of the Executive Committee headed by Joe Avelino and composed of Tony Villa, the late Wally Price, Mike Ribas, George Sunio and Ed Uy , ADMUAAC was formally recognized as a tax-exempt California Corporation as ADMUAAC. On September 15, 2008, it was granted full 501(c)3 status, as a non-profit organization registered in the State of California, USA. Today, ADMUAAC is composed of a 5-member Board of Trustees composed of Atty. Alma Reyes, Dr. Tony Ferrer, Lito Sapiandante, CPA, Fr. David Robinson, SJ and Jolo Buktaw as ex-officio member, and an Executive Committee composed of Jolo Buktaw, President; Ferdinad Dijamco, Vice-President; Maria Fleurdeliza Cuyco, Secretary; Lester Arevalo, Treasurer and Jun Camacho, Public Relations Officer.